More than any other content format podcasting is poised to explode, because it’s the one type of content you can consume while also doing something else. That’s why we built MarketingPodcasts.com (the only search engine for marketing podcasts), and also why we at Convince & Convert are positively THRILLED to launch our third podcast… Content Pros. 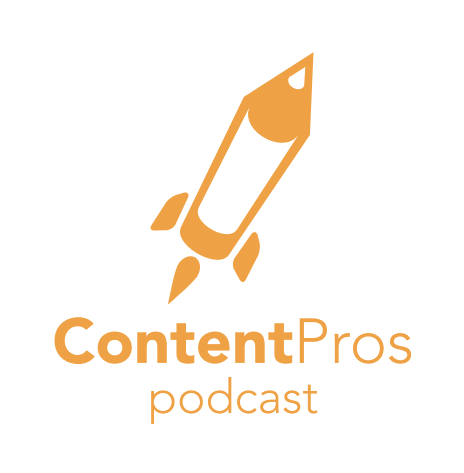 What Is the Content Pros Podcast? It’s a twice-monthly show in a tight interview format where the world’s greatest content marketing practitioners are queried by the shows co-hosts, two of the leading thinkers in content and digital marketing: Chris Moody from Oracle Marketing Cloud and Amber Naslund from Sysomos. Taking a page from our successful Social Pros podcast playbook, Content Pros will feature real people doing real work in content marketing. Content Pros will be available on iTunes, Stitcher, and all other podcast listening apps. You’ll also be able to read episode summaries and listen to the show on Convince & Convert, the Oracle Marketing Cloud blog, and the Sysomos blog. January 16, with approximately 5 episodes being released initially. What Else is Special About this Podcast? We are so excited to be the first podcast EVER (as far as we know) to be creating visual note taking and graphic recording of a podcast. We’ve partnered with Chrysallis Studios to create videos capturing the key points of Content Pros episodes. They will look sort of like this! We also have amazing sponsors for this podcast. In addition to Oracle Marketing Cloud and Sysomos, debut sponsors of Content Pros include ProofHQ (a fantastic content marketing collaboration tool), and InboundWriter (a predictive analytics tool for content creators). What are you most excited about for the launch of Content Pros? Amber: I’m really excited to get into the nitty gritty of how actual practitioners are doing content. We get a lot of big picture, blue sky ideas of what’s working, but this show is all about the nuts and bolts of how things really get done. Chris: I’m looking forward to hearing from people who are in the trenches doing this work every day. I’m also excited about the short and punchy format of the show so we can really get to the good stuff without wasting anyone’s time. Amber: I went through a series of paths to get to where I am today. Initially, I wanted to go to vet school and be a veterinarian. Then I thought I’d go to business school and later become a lawyer. I ended up being a music major – a flute performance major to be exact! Chris: I spent a lot of time in the hospital growing up, so I always wanted to be a doctor. It will be interesting to see how the content marketers we know and love got to where they are today, especially given that this specialty and career path didn’t exist when they were growing up!